PARIS -- Western European car sales fell 1 percent in October as the French and German markets weakened, according to industry data compiled by LMC Automotive. Registrations last month were 1.05 million vehicles, the consulting firm said on Friday, based on a combination of national data and estimates for some smaller markets. The decline left the seasonally adjusted annual rate (SAAR) of car sales at 13.4 million, which was 7.1 percent lower than in September. Registrations fell 5.6 percent in Germany and 4 percent in France last month, while in the UK, sales rose 1.4 percent as higher business demand offset falling private sales following the country's June 23 referendum vote to leave the European Union. In key southern markets, Italy reported a 9.8 percent rise and Spanish sales were up 4 percent. Following a strong September where sales rose 6.6 percent, the October result "disappointed," LMC analyst Emiliano Lewis said, as LMC trimmed its full-year sales growth forecast to 5.7 percent from 5.9 percent. Nonetheless, Lewis said, "all markets are on course to grow in 2016 including the UK, which so far shows no after-effects of the Brexit vote." 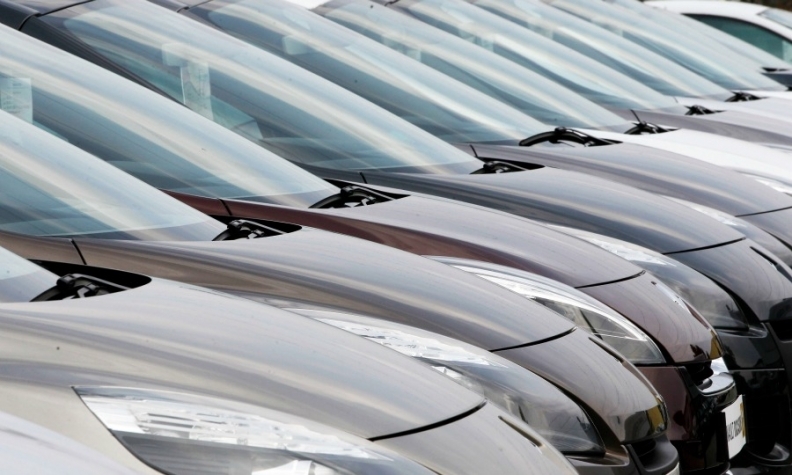 LMC now predicts car registrations in Western Europe will be 13.9 million this year.